Google search suggestions are a mixed blessing—but sometimes they can prove hilarious. 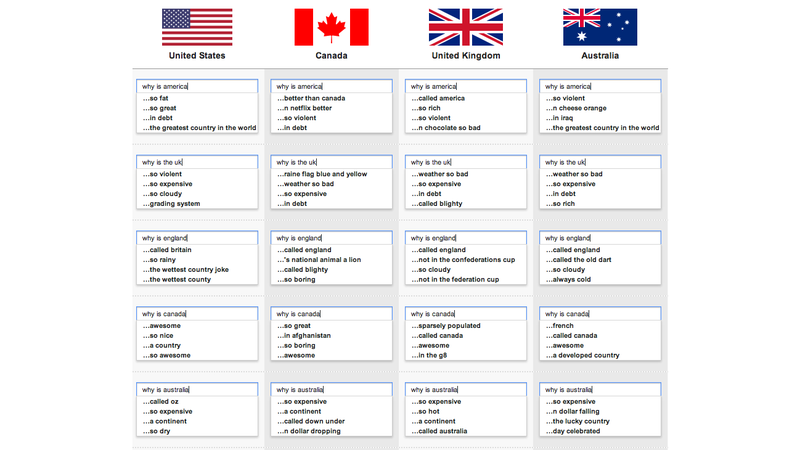 Like this series of locality based suggestions, which show what different countries really think of each other. Put together by Noah Veltman, this graphic relies on the variation of search suggestions by location. And it really works. Here, you can see suggestions for the same query when it's typed in from the United States, Canada, the United Kingdom, and Australia.